In the far-flung future, the Sun has reached the end of its lifespan. Under an alien sky, strange animals and plants thrive across the world, ruined cities stand in mute testimony to all-conquering Time, squalor and luxury exist side by side in decaying and decadent civilisations, and science and technology have blurred into a unified occult art people use but no longer understand. Demons and wizards, monsters and men, all sentient creatures human or otherwise, must find meaning and purpose and life in constant awareness of the inevitable end of Earth. The Dying Earth is one of the greatest works of science fiction and fantasy of the 20th century. 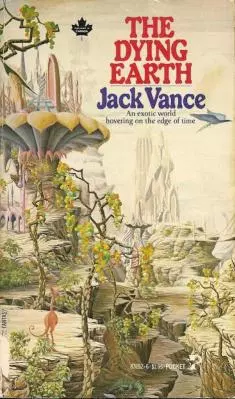 Composed of six short stories set mainly in the land of Ascolais, The Dying Earth is a testimony to the power of the imagination and the singular brilliance of Jack Vance. Together we have looked through the eyes of knowledge. We have seen old Thorsingol, and the Sherit Empire before it, and Golwan Andra before that and the Forty Kades even before. We have see the warlike green-men, and the knowlegeable Pharials and the Clambs who departed Earth fro the stars, as did the Merioneth before them and the Gray Sorcerers still earlier. We have seen oceans rise and fall, the mountains crust up, peak and melt in the beat of rain; we have looked on the sun when it glowed hot and full and yellow... No, Guyal, there is no place for me at Saponce..."
In the space of a paragraph, Vance captures the lost grandeur of ancient races and civilizations long turned to dust, describes the passage of unthinkable aeons, and the wistful sadness that comes with having gained ultimate knowledge at the cost of community and innocence. The stories of The Dying Earth are both timeless and fantastical. There is the tale of Mazirian the Magician, whose quest to imbue his creations with life tempts him to follow a woman out of his cloistered garden; T'sais, the vat-born woman with a defect in her brain, forcing her to see unspeakable ugliness where others perceive transcendent beauty, driving her to hunt and kill everything in sight; Liane the Wayfarer, an amoral adventurer on a quest to seduce Lith the witch. The stories are exactly as long as they have to be, densely packed with detail and characterisation, speaking to tantalizing wonders just beyond the reach of mere men. There are hints of realms and worlds beyond Earth, blackened ruins where witches and wizards and potentates and monsters dance in orgiastic fervor, a fabled Museum of Man that holds the sum knowledge of civilization. In such fantastic settings, the protagonists pursue their dreams and ambitions as the world sinks into darkening twilight. Vance's greatest and longest-lasting innovation can be seen in the magic system of The Dying Earth. Based on long-lost mathematics and mundane sciences, the spells of The Dying Earthallow the user to create specific effects when uttered. However, the spells must be memorized beforehand, and once uttered they are instantly forgotten. Thus, wizards must select their spells with care, and their arsenals are strictly limited to how much material they can cram into their brains. If this sounds familiar, that's because Gary Gygax adapted this system for Dungeons and Dragons. Indeed, Gygax listed The Dying Earth in D&D's famous Appendix N as a source of inspiration. This mechanic sets a hard limit on the number of spells in the world and in every story. The only way to permanently store spells is to transcribe them, and wizards are constantly fighting each other to secure more spells. This scarcity and the desire for occult knowledge drives the conflicts stories featuring wizards. Further, wizards cannot simply resolve a conflict by the simple expedient of uttering a spell; they must rely on their wits, courage and strength to win through. Jeffro Johnson did a stellar write-up at Castalia House exploring the deeper ramifications of such a system. Jeffro hits the nail on the head. Despite its limited utility and supply, the magic in the series is a source of endless strife, informing the setting, the world, and the stories, becoming an integral part of the story universe. Without this magic system, and everyone's inability to comprehend the wisdom and knowledge of the ancients, the world of The Dying Earth and all its strange wonders and horrors could not come to exist. The Dying Earth is a book of striking beauty, hidden depths, and incredible concision. While many stylistic and prose choices are archaic and a tad long-winded by today's standards, it is an oasis of sweet waters in a barren desert of tales that aspires to be mere workmanlike. To understand where SFF came from, to see a glimpse of the wonder, the horror, the sorrow and the joy inherent in the genre, The Dying Earth is a must-read. 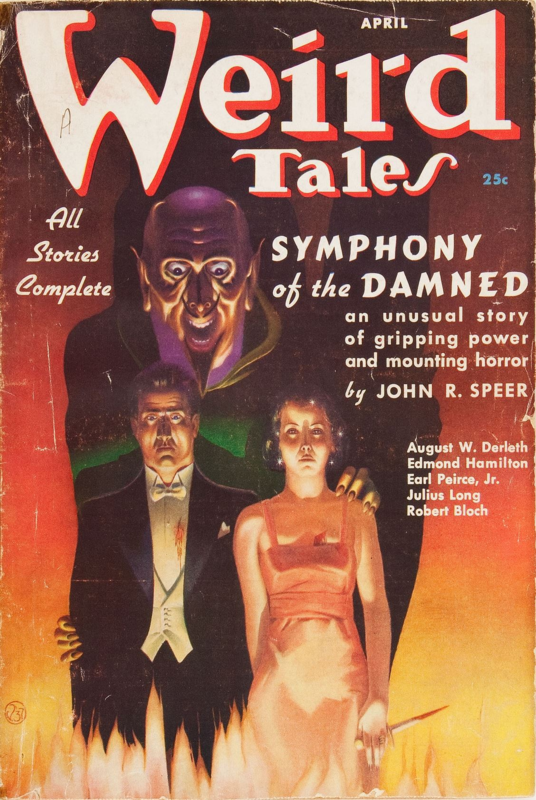 For more stories of wonder and terror, check out my latest novel HAMMER OF THE WITCHES. Yep, a great book which deserves to be known much more. Well done for bringing it to more people's attention.